When you think of cutting your energy bills, cooling down your house, and cutting out street noise, you probably don’t think about your garage. But properly insulating your garage can help you with all these problems. Garage door insulation is one of the best cost efficient ways to improve your home. When you have made the decision to insulate your garage door, you will first need to choose a type of insulation. Most insulation materials will get the job done, but some may be a better choice for your particular needs. If you have any questions, call a garage professional. They would be happy to point you in the direction of materials that are best suited for your garage. These are panels made from polystyrene and provide a lot of insulation with a little space. The foam board can’t be faced with aluminum or vinyl, which makes it look more aesthetically pleasing. These are rigid boards covered with rolls of reflective insulation. They have highly reflective foil applied to one or both sides of the materials. This type of insulation reflects heat, making it a great choice for garages in hot climates. This is flexible insulation that is often found in the exterior walls and is made of fiberglass. Sometimes it is backed by paper, Final, or foil. 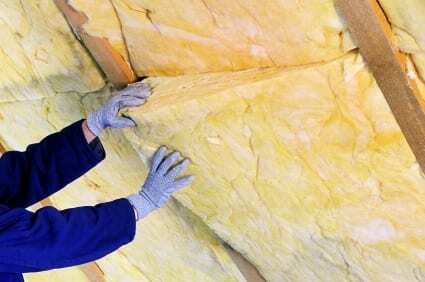 It is one of the cheapest types of insulation on the market. Proper installation of your garage has many benefits. One big advantage is it can save you every month on utility bills. In the summer, your garage could be responsible for keeping your home at a warmer temperature, causing your AC system to kick into overdrive. A properly insulated garage does not lose heat or cool air. If you live in an area with a lot of streets noise, proper garage door installation can act as a barrier, preventing noise pollution from coming into your home. If you have any questions regarding garage insulation, call the experts at Action Garage Door at (877) 392-2590 today.